The digital media area explores the significant moments, theoretical foundations, and current trends within electronic and digital art. We examine, in particular, the importance of digital technologies in the production and inspiration of electronic works and the world wide web as a vehicle for electronic media. Students develop an interdisciplinary approach to new methods of art-making that enable them to develop industry-sought technical skills, as well as intellectual flexibility and self-reliance. We strive to motivate students to hone their technical proficiency and conceptual understanding of electronic media so they will dissolve the limits of any one specialized industry, field or method. Our four main distinctions within digital media are Time-Based (video and animation), Interactive, Digital Fabrication, and Text+Media. Text+Media offers a hybrid art-making focus combining printmaking, photography, typography, and various forms of print and printed-object techniques. 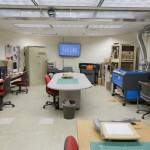 Special facilities for print design at FSU include wide-format archival printers, high-volume tabloid color laser printers, large paper cutters, laser-cutting/engraving, CNC vinyl cutter, and related equipment. The Interactive focus centers on web-based, and responsive artworks which cross into other media areas like sculpture and animation, to give students a hybridized focus. Faculty expertise in interface design, kinetics, physical computing, and programming are available through a wide range of courses. 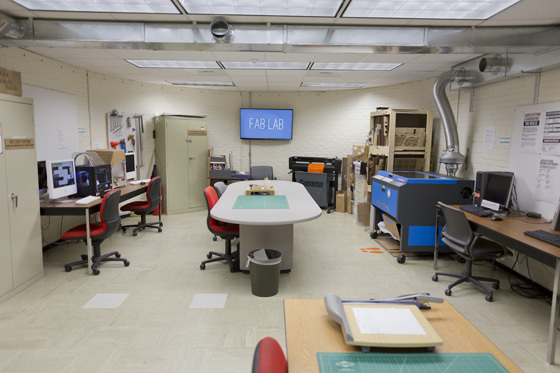 Up-to-date computing facilities and 24-hour access to our advanced projects lab help students maintain focus leading to educational goals in game design, contemporary art, exhibition design, interface design, and experience design. The Time-Based sequence focuses on time-based screen arts, and visual storytelling in both narrative and experimental modes. Integration into architectural and sculptural projection is encouraged. Students are motivated to develop their own unique skill sets among 3D and 2D animation, video art, motion graphics, stop-motion, and experimental processes. 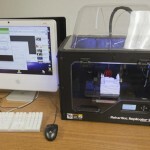 The Digital Fabrication focus emphasizes the use of 3D modeling, CNC (computer numerical control) and rapid prototyping to develop and realize sculptural forms, both digitally and physically. A wide range of industry standard tools are used throughout the digital media area including AutoDesk’s Maya, Processing, Arduino, Autodesk Fusion 360, and Adobe Creative Cloud including Premiere and After Effects. 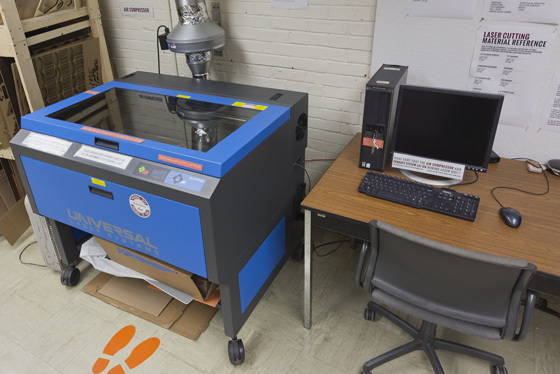 All are available in our open lab and teaching classrooms. The area’s courses are taught in Macintosh based classrooms, each with video projection and sound capabilities. WiFi is available throughout the department and campus. 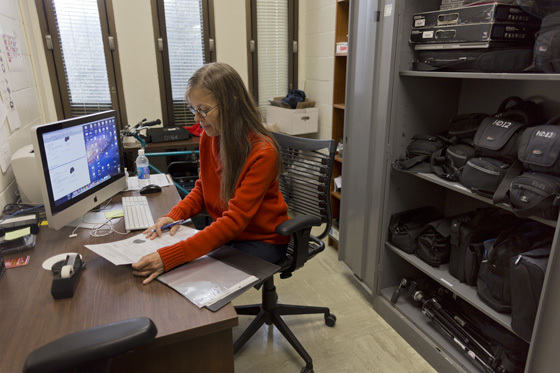 HD video cameras, sound equipment, lighting kits, tripods, large-scale archival and color-laser output, flatbed scanners, 3D mice, and tablet inputs, among many other resources are available to students in the area. 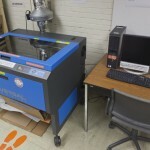 Our FabLab also has two large CO2 laser cutters, two Makerbot Replicators, a Form1 stereolithography printer, desktop CNC milling machine, CNC vinyl cut-ter, and other rapid prototyping tools. 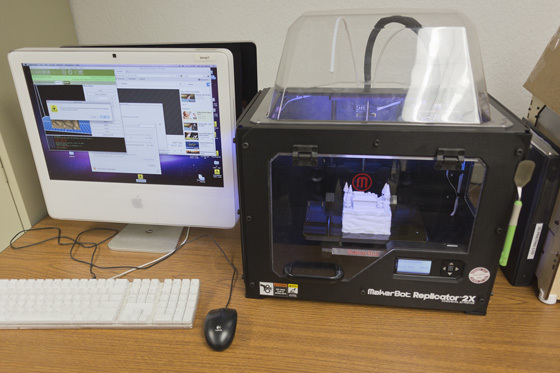 Digital Media also provides access to an electronics prototyping area with soldering stations, a hot air rework station, and a CNC milling machine for fabricating printed circuit boards. Our equipment checkout includes everything from laptops to audio equipment to Arduino microcontrollers. For more on these facilities, please visit the Art Labs Website.